• 3.6 x 2.5 inches top. • 2.5 x 7 inches side. • 3.6 x 7 inches front design. 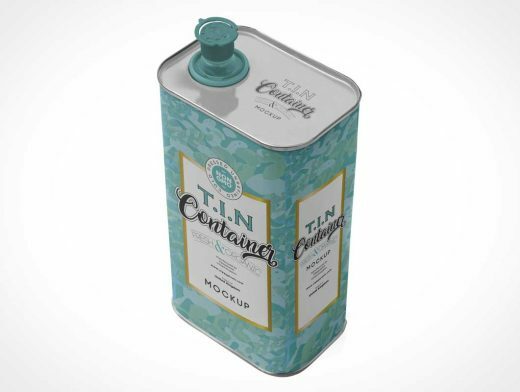 You can also change the color of the spoon and cap of the tin can plus the front and bottom of the tin can. You can also adjust the shadows, effects and the background of the free tin can mockup. If you like this freebie then please download it and share your reviews in the comments box below.